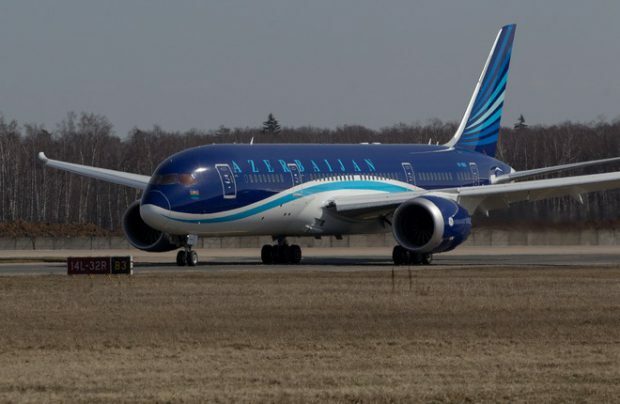 Azerbaijan’s national air carrier Azerbaijan Airlines (AZAL) plans to add 12 aircraft to its fleet in the next four years. The types of aircraft in question are not specified. “We will announce it by the end of this year or in early 2017”, – told Eldar Hajiyev, AZAL Vice President. At the same time the company plans to withdraw all the three ageing narrow-body Boeing 757-200 aircraft (their average age is 18.5 years). As a result, AZAL fleet will consist of 32 aircraft in 2020. The company will expand its route network with the acquisition of new aircraft. In particular, until 2021 the airline plans to open additional direct flights from Baku to the regions of Russia, for example, to Volgograd, Astrakhan and the cities in the Far East. However, according to the carrier’s management, it is unlikely to happen next year. In addition, the airline does not rule out the possibility of expanding flights to Russia from Ganja, the third largest city of Azerbaijan. The airline already flies from this city to St. Petersburg. Today AZAL fleet consists of 23 aircraft. In addition to Airbus A319, A320, fBoeing 757-200, Embraer E170LR and E190 aircraft the carrier’s fleet also includes wide-body aircraft such as Boeing 767-300, A340-500 and Boeing 787-8. In June 2016 the airline signed a memorandum of interest with Ilyushin Finance Co leasing company (IFC) to supply 10 perspective Russian MC-21-300 single-aisle aircraft. The exact number of the aircraft, their layout and delivery time were expected to be defined after the first flight of the aircraft. The memorandum is valid until the end of February of the following year. The certification of MC-21-300 aircraft equipped with American Pratt & Whitney PW1400G-JM engines is planned for 2018. In total this year, AZAL plans to serve about 2 million passengers. The airline has transported 1.8 million passengers in 2015 and 1.7 million passengers — in 2014.